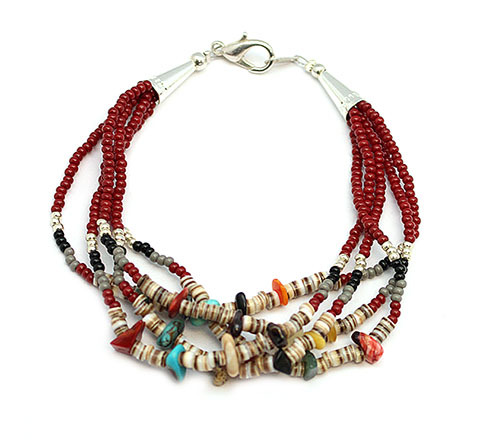 This 5 strand seed bead, heishi, and multi color nugget bracelet measures approximately 8" long including silver plated findings. It is Navajo crafted by Naomi Garcia. Main colors available are maroon, red, white, turquoise green, pearl, dark blue, turquoise blue or dark brown. Choose main color when ordering.